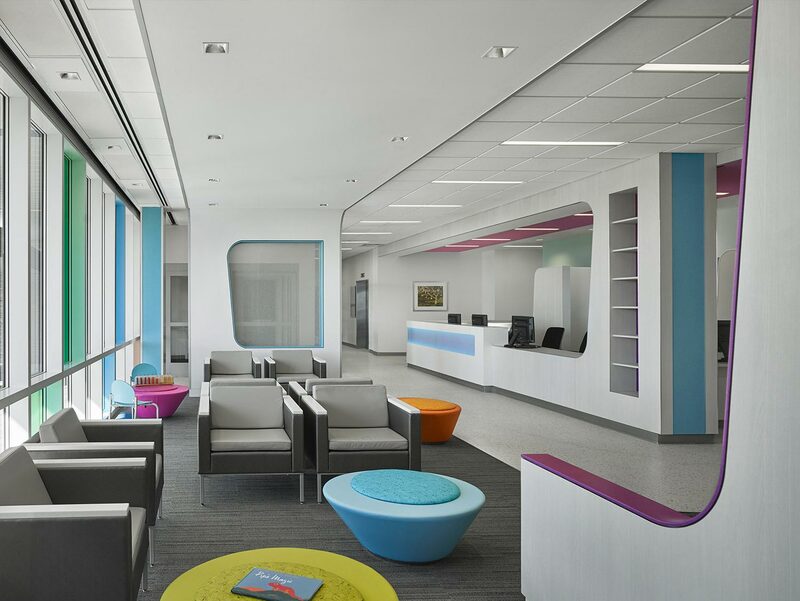 The Children’s Hospital of Philadelphia is a leader in providing high quality care with resources closer to their patients’ homes through a growing care network. 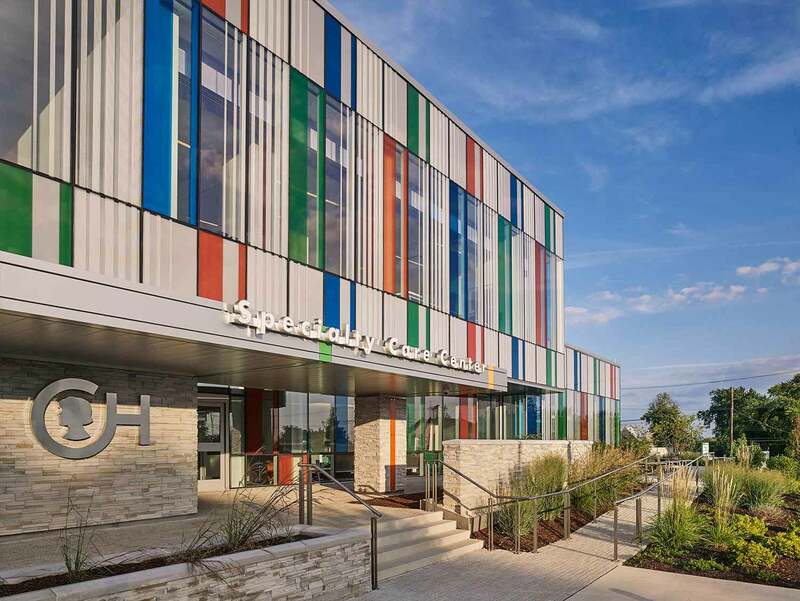 A vision to co-locate dispersed services brought two regional facilities together—the Chadds Ford and Springfield specialty care centers—into one convenient mid-point for patients and families. 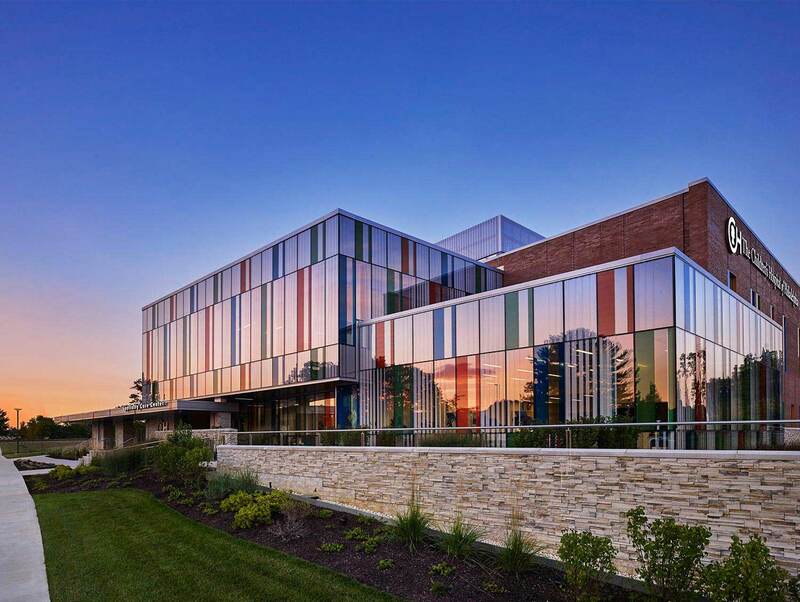 The new 160,000 SF center offers the previously uncombined specialties, as well as ambulatory and general surgery services, and after-hours urgent care. 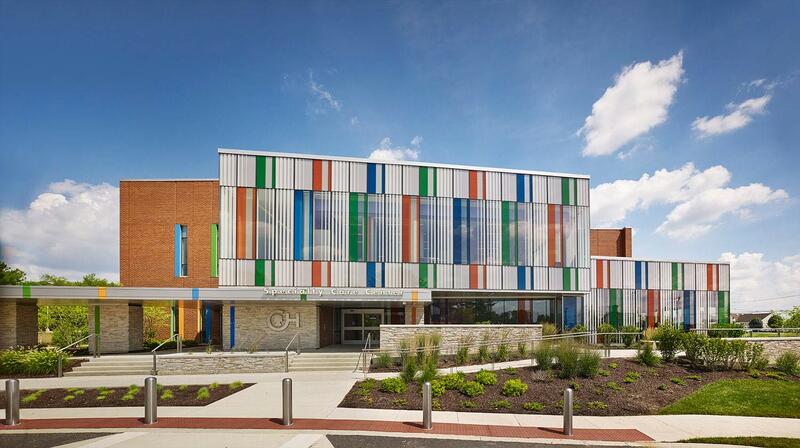 The facility has three distinct entrances — one for families, one for staff, and one for services and supplies. 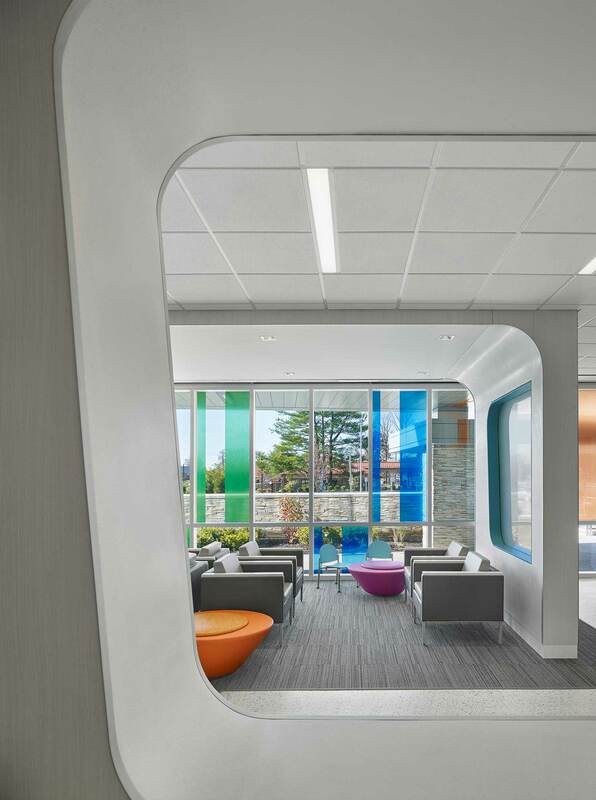 Each entrance is on a different side of the building to reduce bottlenecking and enhance patient and staff experience. Broken into three masses, the building mirrors the three-part theme with one large masonry structure and two smaller glazed structures. 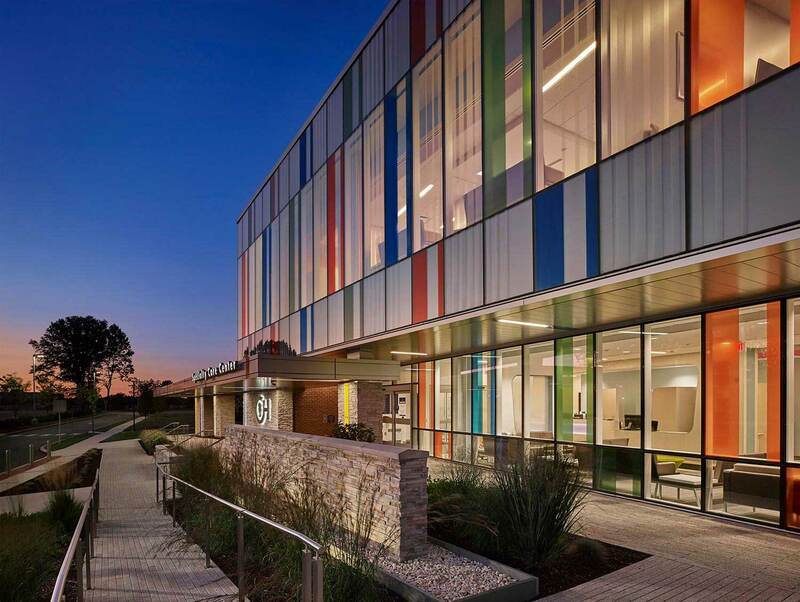 These areas provide an engaging view to the exterior, reference the area’s historical features, and reinforce CHOP’s architectural brand of glass and bright color accents.